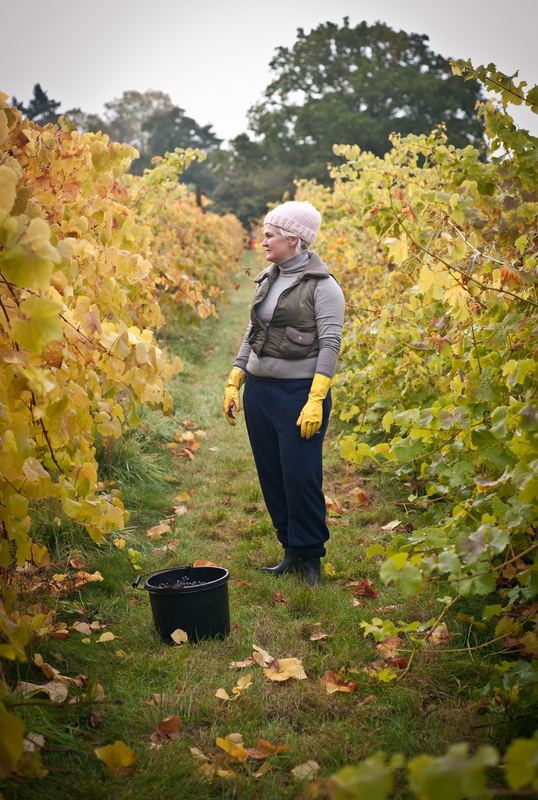 Sian and Richard Liwicki runs Bothy Vineyard in the Oxfordshire countryside, a small specialist vineyard producing a variety of award winning wines from five and a half acres. I had the opportunity to visit a harvest this weekend and photograph some volunteers and friends picking the ripe fruit from the vine straight to press. The morning was cold, dank and foggy, just nice for saturated colours of the vine leaves, and no shadow. The misty sky became a large softbox.